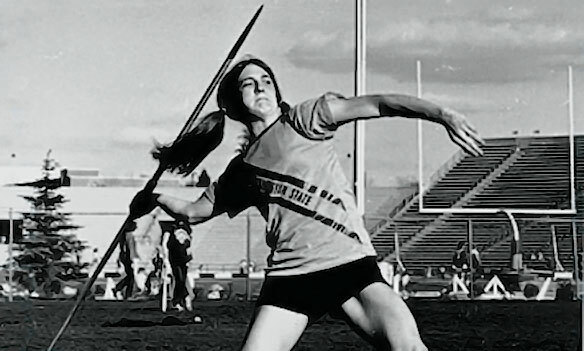 Much has changed since Helfer, the first woman to receive an athletics scholarship to WSU, began hitting buckets in mixed pickup games, anchoring the women’s basketball team from 1977–82, and then setting track records as well. It’s taken a while but general recognition of athletic ability, and along with it the popularity of women’s sports, is growing dramatically. In 2015, for example, the women’s World Cup Finals between USA and Japan shattered all previous U.S. ratings for a televised soccer game, male or female. The 2016 U.S. Olympic team featured more women than men for the first time ever. And professional sports is increasingly becoming a career option for female athletes as opportunities in basketball and elsewhere continue to develop. “It’s a great source of pride,” WSU women’s basketball coach June Daugherty says of the growth in both the popularity of women’s sports as well as professional opportunities for women athletes. Last year, one of Daugherty’s former players, standout guard Lia Galdeira, became the first Cougar to be drafted into the Women’s National Basketball Association. She was the nineteenth overall pick in the WNBA draft and was signed by the Washington (D.C.) Mystics. 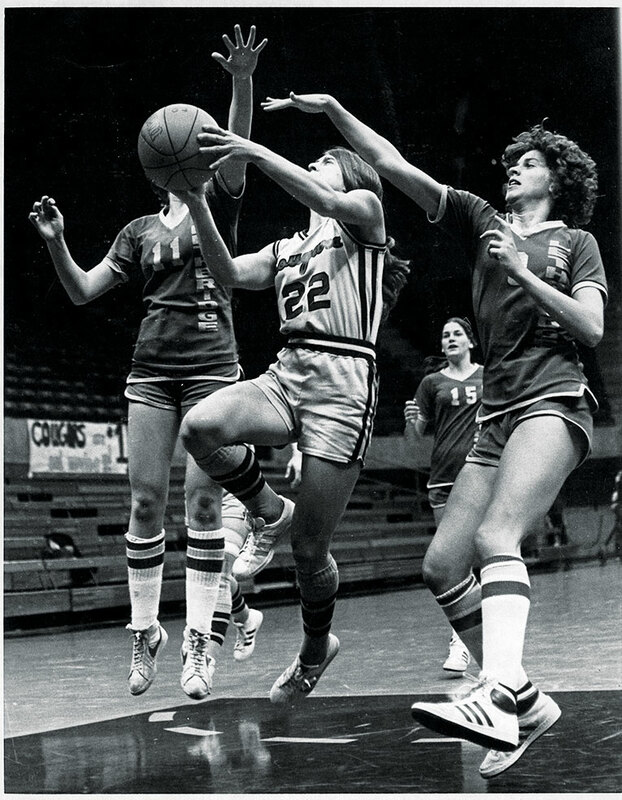 Although athleticism is nothing new for women, Daugherty, Helfer, and others credit the hard-fought political and legal battles over equal opportunity, specifically Title IX of the Educational Amendments Act of 1972, with setting the foundation for the current growth. Under the provision, no student can be excluded from participation in educational opportunities based on their gender. That includes athletics, and WSU became one of the key battlegrounds. 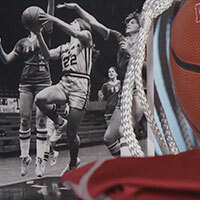 In 1979, a lawsuit was filed by 10 coaches and 26 female athletes against WSU over inadequate funding and other support for women’s sports as required under Title IX. The case went to the state Supreme Court, which ruled in favor of the coaches and athletes in a landmark decision. Helfer was not among the athletes who sued the University but readily acknowledges the lawsuit’s importance. Many women’s teams lacked University-provided transportation, for example, and were unable to reserve WSU training facilities or take advantage of other support services. But as a highly recruited female athlete, WSU scholarship recipient, and native of Walla Walla, a community widely recognized for its early support of women’s athletics, Helfer hadn’t ever felt discriminated against. Many of Helfer’s athletic accomplishments still stand. With 1,967 career points, she remains WSU’s top-scoring women’s basketball player. Her record-setting javelin throws are still at the top of the list, and she narrowly missed qualifying for the 1980 U.S. Olympic track team after taking a one-season break from basketball. Her personal drive also extended to academics, graduating from WSU with a 3.4 GPA. It’s the all-around pursuit of excellence she carried into her own coaching career, which included a year at Clarkston High School before moving to Spokane, where she coached the Mead High School girls team to three state championships in four appearances from the late 1980s to the mid 1990s. She later transferred to Mount Spokane High School and has kept her students’ focus on overall athleticism rather than specializing in specific sports. It is, after all, a part of a school’s educational opportunities and Helfer believes it should serve to instill valuable life lessons about teamwork and self-improvement. That’s something she worries is being lost. Instead, she’s seen youth sports treated more as an investment by some, with emphasis placed at young ages on specializing in a specific sport in hopes it improves chances for a college scholarship or more. Some families prohibit kids from activities such as snowboarding or skiing because an injury might sideline their season, for example. Others miss out on summer fun at the lake.